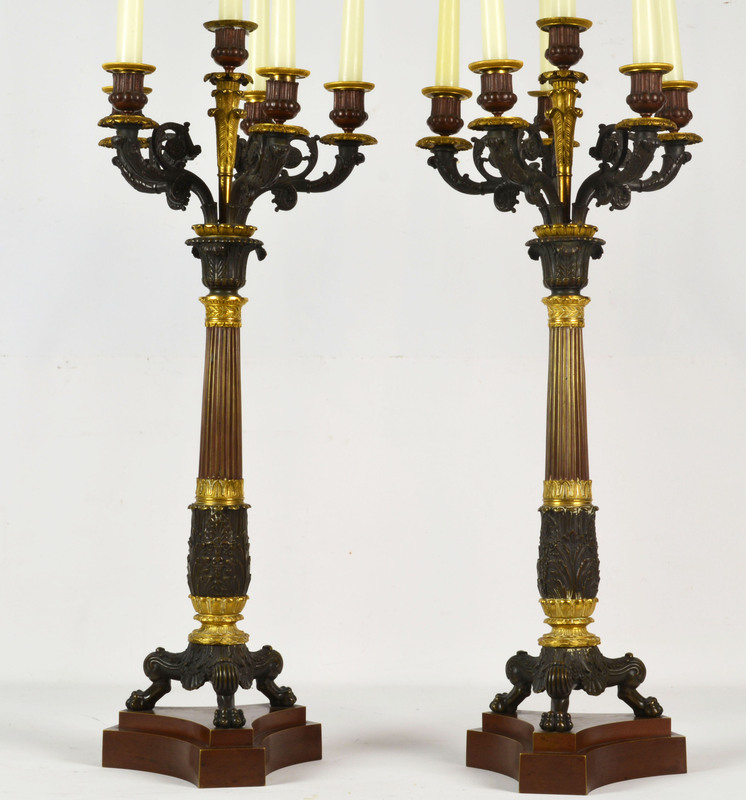 The 6 lights on leaf work arms above a finely modeled ormolu and patinated bronze column resting on triangular marble bases. H 27.25 inches. SOLD. Each with double snake handles and waisted stems on stepped and gilt bronze mounted quadratic serpentine marble bases. France circa 1820-40. H: 9.25 inches. Asking price $ 1,150. SOLD. A Pair of Pompeian Style Bronze Deer. After the originals (1st BC) uncovered in Villa Papyri in Pompeii, now in the Museo Archeologico Nazionale, Naples. Bronze with Herculanum dark finish, Italy early 20th century. H 21.5 in. L 18 in. W 6 in. Asking price $ 1,950.